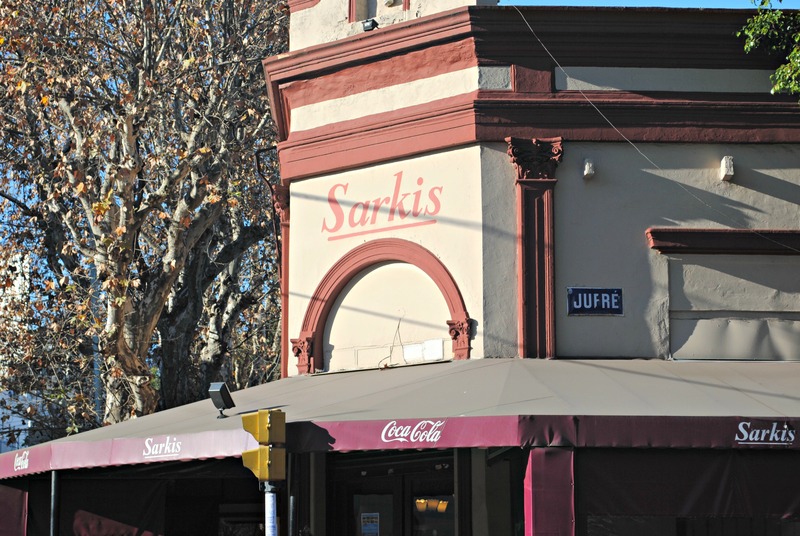 Charlie´s Blog - Buenos Aires Travel Information: Sarkis: The Best Restaurant in Buenos Aires? You have been in Buenos Aires for a week or so, and now you want to eat something tastey that isn´t asado. Is there such a thing as good food that isn´t a big fat steak on a plate with french fries in this town? While there are, of course, plenty of tastey spots in town that don´t revolve around asado. The one that stands out above them all is Sarkis, a romanian restaurant that has one of the best bang-for-your-buck meals in town. This is one of the most popular places in town with great prices considering the quality of food. Most plates will cost you around 10 dollars US, and you can get some insanely tastey appetizers for around $5. What is armenian food you ask? Think shawarma, couscous, zangy meatballs, and humus. Another unique offering is keppa cruda. Keppa is a type of meat and vegitable mix that puts couscous and other spices together into a wonderful combination that will knock your socks off. If you speak spanish then you know that cruda means RAW. Keppa cruda is raw meatballs basically. No, the meat is not treated with lemon like in ceviche either. Don´t worry, the meat is prepared cleanly, and it WILL NOT make you sick. If you want to try something new, go for it. Another big one is ´puré de garbanza´ - hummus. Its a classic hummus, and you can´t really go wrong with this stuff. Here you can really tell that it comes from garbanzo beans because it has a freshly mashed texture, which makes it stand out from your traditional grocery-bought hummus. Moving on to the main course, go for the ´kefta con yogurt´, its a big stick of meat with yogurt on it. Enough said. They also have all sorts of veggies with fillings. Zapallitos rellenas, berenjena rellenas, hojas de repollo rellenas. It doesn´t matter if you don´t understand what these things mean in English. Just go for it. Once you have filled yourself to the brim with food because of the three extra orders you made before the food arrived to the table because your eyes were bigger than your tummy, it´s not over. Now you have to get dessert. The ´deditos con helado´ is one of the most popular desserts here. Its a flakey breading over a sugary, mapley crunch served fresh next to some ice cream. This is a classic arabian dessert. If you have tried it, you already know. Another good option here is their walnut sundae. It comes drizzled in chocolate and is full of... yep, walnuts. The food and service here are great, but the biggest obstacle is actually getting a table. Generally wait lines are over an hour. They do not accept reservations, and the host does not accept any washingtons to put you higher on the list. A big reccomendation is to put your name on the list and go to the other corner of the street where Cachito is located to have a few drinks while you wait.